Open MBOX files 100% free of cost to read MBOX files information via using a third party software which supports MBOX files of Mozilla Thunderbird, Apple Mail, Google Takeout, Horde Mail, Opera Mail, etc. How to Open MBOX Files Free? If you are one of them who are looking for a reasonable solution to open MBOX files, which are exported from various email clients, for example, Mozilla Thunderbird, Apple Mail (Mac Mail), Google Takeout, Horde Mail, Opera Mail, etc. then you can stop your search now because in this blog post I am going to describe the detailed information for solving below types of queries. How to open .mbox files on PC? How to read MBOX files on PC? Before describing the procedure to open MBOX files, first get the other basic information related to MBOX files or how to export MBOX files from various email clients and email services? MBOX is a standard file format for storing mailboxes including all information i.e. email attachments, attributes, signature, subject, internet header, date, time, hyperlinks, text formatting, sender and receiver information, etc. Various email clients allow to export their email messages in .mbox format as Thunderbird, Apple Mail, Google Takeout, Horde Mail, Opera Mail, etc. At present time, there are various variants available for MBOX files as MBS, MBX, MBOXO, MBOXRD, MBOXCL, etc. Why Do Users Export MBOX Files from Email Clients and Email Services? Most of the business (corporate) users aware of the data loss so they always backup their important emails messages in the .mbox format because a lot of email clients allow exporting their email messages in .mbox extension. Users export their mailboxes in MBOX format because of below reasons. MBOX file can be easily import and export in multiple email client so users can change their email client without loss of old email messages. Some users download their mailboxes in MBOX format to secure the emails for future in case of data loss. 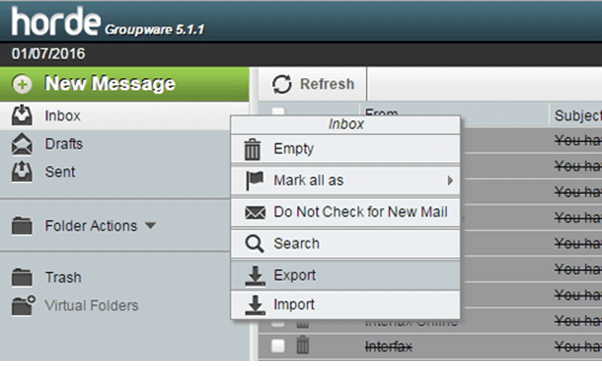 Users can merge their 2 or more email clients into one after downloading emails in MBOX format i.e. first download emails and after that import them. After exporting emails in MBOX format, users can switch their email client without loss of previous emails. How to Export Emails from Various Email Clients? In this section, I am giving information for exporting emails from several email clients to MBOX format with actual screenshots. Mozilla Thunderbird allows downloading its messages in MBOX format within few simple steps. 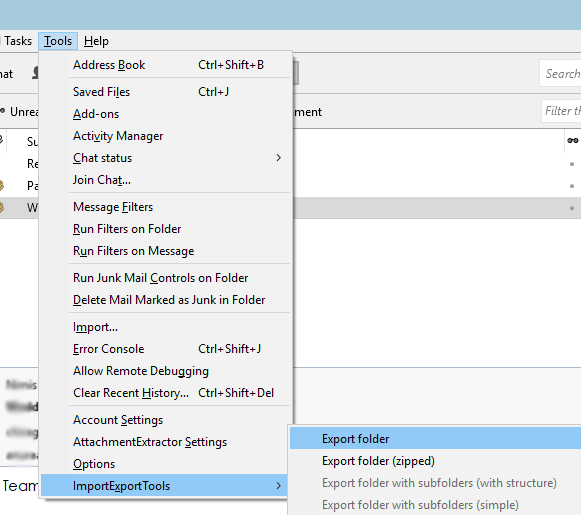 First, download free add-on named ImportExportTools after that Mozilla Thunderbird email client gives a separate option to export email messages as shown in the screenshot. 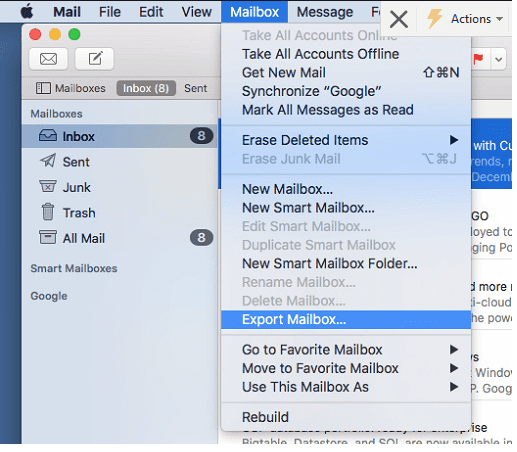 Apple Mail (Mac Mail) also offers the facility to export mailboxes in MBOX format by selecting Mailbox << Export Mailboxes as you can see in the screenshot. Users can choose any destination path for saving emails. 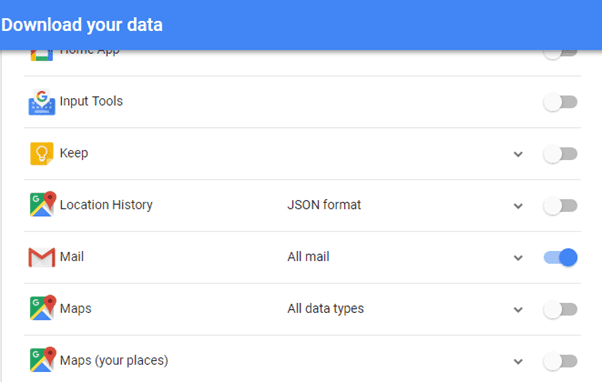 Gmail and G Suite users can also download their emails in MBOX format with the help of Google Takeout utility which is available 100% free of cost via Google Inc. Google Takeout is specially designed to backup Google mail items. Horde Mail also gives permission to export mailboxes in MBOX format so if you are using Horde mail service then you can download mailboxes in MBOX format as shown in the below screenshot. Opera Mail email client offers facility to export emails in MBS format, which is similar to MBOX format. 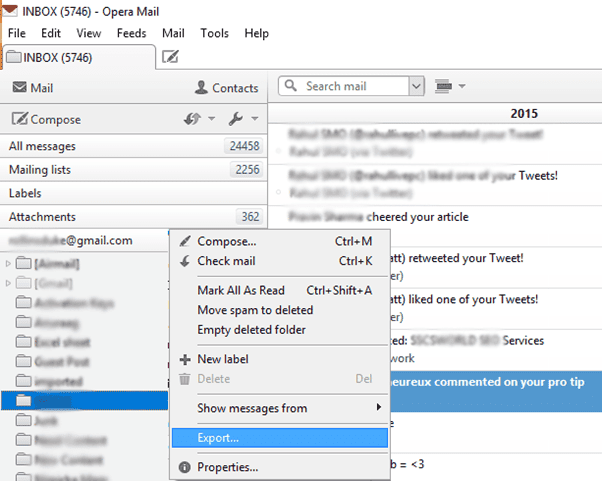 Run Opera Mail, select any email folder and right click on the folder to export Opera Mail emails into MBS format. Use BitRecover MBOX Viewer which is available free of cost in the online marketplace to open MBOX files without using any email client or email service. This software is authorized to open Thunderbird MBOX files, open Google MBOX files, open Apple Mail MBOX files, open Horde Mail MBOX files and open Opera Mail MBS files without any error message. Open unlimited MBOX, MBX, MBS files free of cost. Permit to read MBOX files of various email clients i.e. Thunderbird, Apple Mail, Opera Mail, Horde Mail, etc. Preview MBOX file information with attachments, from, to, subject and email body. The tool is capable to open large sized MBOX files without any problem. MBOX viewer can be installed in all latest as well as previous Windows Operating System. The tool comes with advance search option which is helpful to find particular information in whole database. First download and install MBOX viewer software and after that follow two simple steps for opening MBOX files to read MBOX files information without using any email client. Run MBOX Viewer software and press Open button to load MBOX files or folder having MBOX files. After loading MBOX files in the software panel, users can read MBOX files information in the software panel. 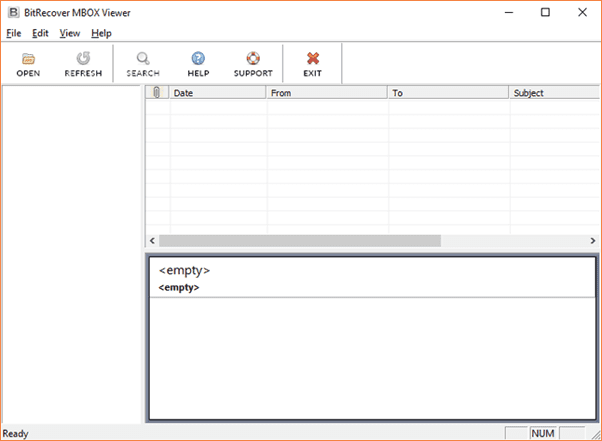 Que 1 – How to open .mbox files on PC? Ans – Follow below steps for opening MBOX files on personal computer. Export MBOX file from email clients. Download and install MBOX viewer software. Load MBOX files in the software panel, it’s done! Que 2 – Does your software allow to open Google MBOX files? Ans – Yes, it is authorized to open Google MBOX files as well as Thunderbird MBOX files, Horde MBOX files, Opera MBS files, Apple Mail MBOX files, etc. Que 3 – I am a system administrator and here I am using Windows Server 2016, can I install this software on my machine? Ans – Yes, this application is fully compatible with all Windows OS based computer including Windows Server editions so don’t worry. Que 4 – What is the main functionality of this product? Ans – The tool is specially designed to open MBOX files without any MBOX compatible email client. At last, I want to say that the tool works perfectly on without showing any error message. I have personally tested this software for opening large sized MBOX files. 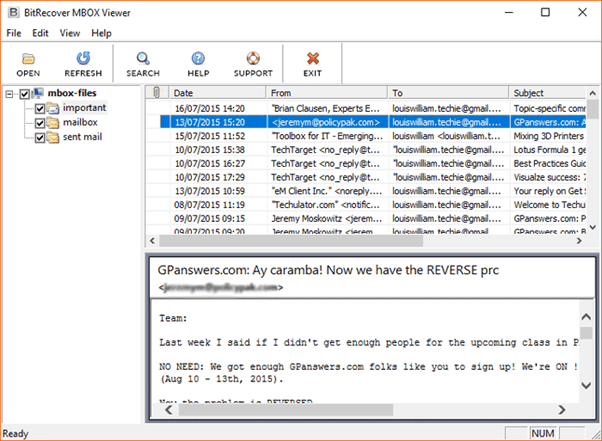 Free MBOX viewer permits to open MBOX files of various email clients or email services i.e. Mozilla Thunderbird, Apple Mail, Mac Mail, Gmail, G Suite, Horde Mail, Opera Mail, etc.